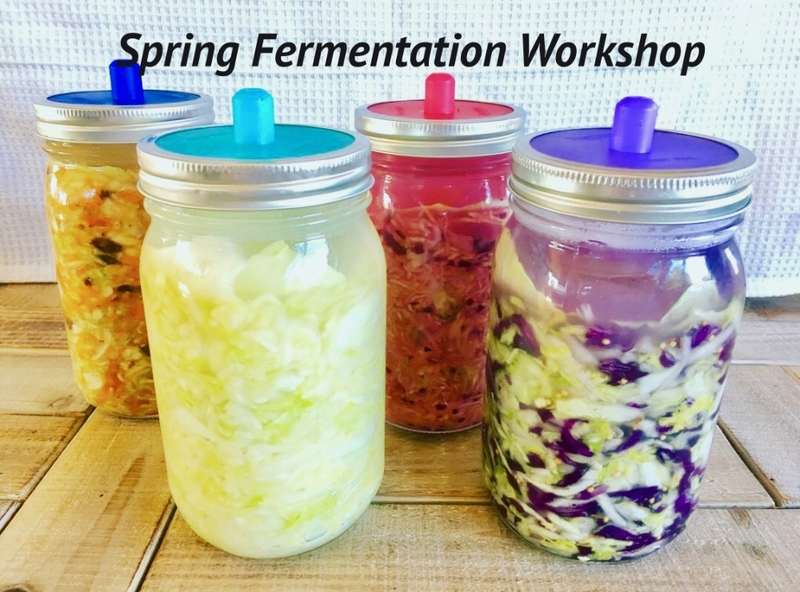 Finally, a Spring Fermentation Workshop! This class has been requested so frequently and what better a time to offer it than right now when our local farms and gardens will be producing an abundance of fresh vegetables. Preserving veggies the lacto-fermented way is my favorite way to preserve the harvest. While many preserving methods decrease the nutritional value in fresh vegetables, this process increases health benefits. These pickles are refrigerated, not canned in order to keep the beneficial microorganisms live and will keep up to 6 months. Just salt and vegetables, when fermented give us so much more than the sum of their parts. They give us delicious sauerkraut, pickles, kimchi and more. Fermentation and gut health have moved to the forefront of the holistic health community and for very good reasons. They give us nourishment for our gut and as research continues to find, gives us unimaginably good things for our bodies. This class is for those of you who have said….I want to learn to ferment, but have felt too intimidated to go it alone. I want to calm any fears you might have about this safe process, show you just how easy it is and how fun and delicious the results are. 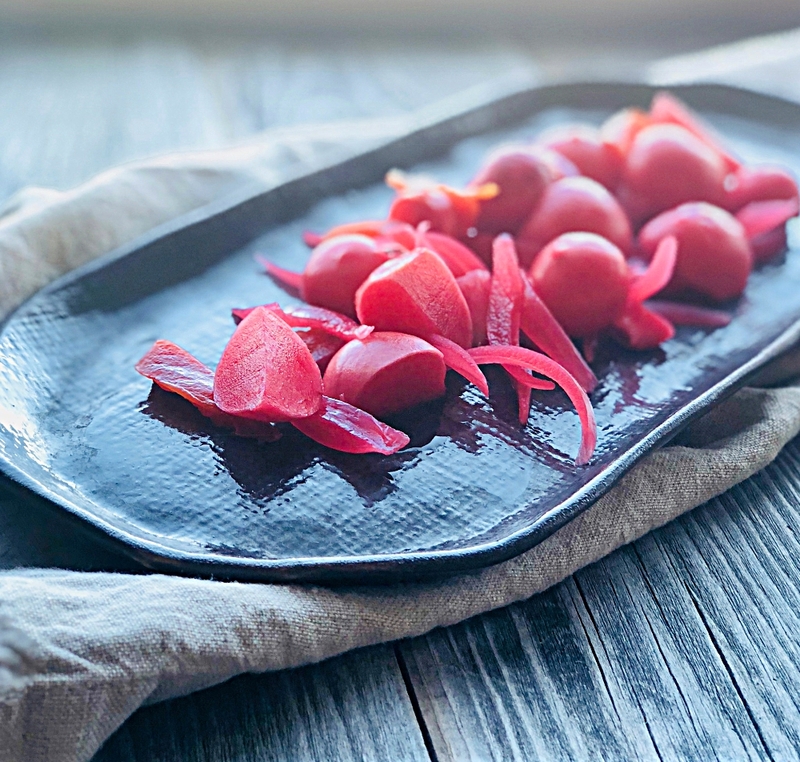 This workshop takes place in our home and is designed to equip guests with practical skills, nutritional and product information that encourage healthy, safe and delicious fermentation. If you’re making some dietary changes and need to incorporate more vegetables and fermented foods into your diet, this class is for you. If you’ve never been to one of my classes, this is a good “sample” class. Come get your pickling game on! Thanks Sheila! I emailed you my address. up. I can pay you Sunday st church. I made my first jar of sauerkraut yesterday! Fun to be with you at book club, yesterday! Do you have any cooking classes coming up? I’m sure they are on your website somewhere, but I just saw previous classes. Hi Bonnie! Yes, I’m doing a fermentation workshop coming up the last weekend in September 29 and 30th. Details to come soon and I’ll post here on my blog first. Stay tuned! I have other classes this fall – just finishing up those details. Thanks so much for your inquiry.